We’ll get you on the right path to playing better golf. From individual and group lessons to online swing analysis and customized programs, we offer a variety of ways for you to improve. Gain exclusive access to premium tips, strategies and inside-the-ropes videos and other online content designed to elevate your game. team to schedule a lesson, discuss your goals or put together an improvement plan. When he started his career in 2001, Dustin knew he had chosen the right profession. Helping others to reach their full potential has always been his passion. Dustin’s reputation for developing complete golfers of all ages has earned him four nominations for PGA Section Instructor of the Year. 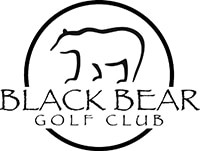 He currently teaches golf at the Golf Performance Center at Blackstone and Black Bear in Parker, Colorado. off the course, instilling values that help his students in golf and in life.